Now, music from the nine much-loved Music Together song collections is available on three CD anthologies. We are proud that these CDs have together won over 30 awards. 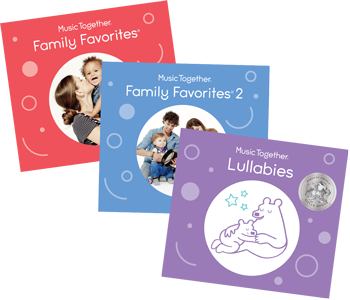 Music Together Family Favorites features nineteen (19) of the best-loved songs from the nine (9) Music Together song collections. This CD and digital album won eleven (11) awards including a Parents’ Choice Silver Honor award. 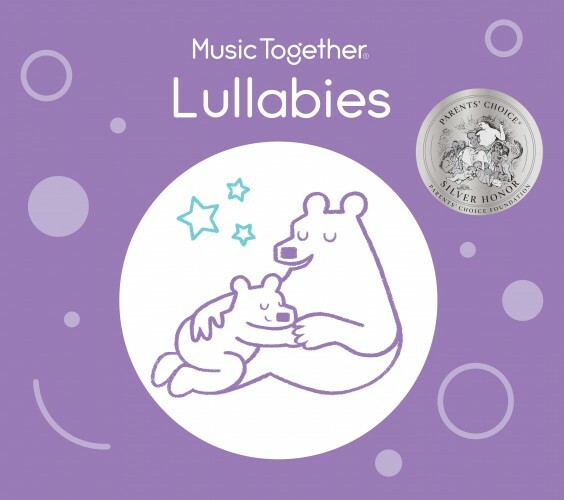 Features a bonus digital album access code and a 22-page booklet with lyrics and fun music-making activity suggestions for every song for use at home, in the car, or in the preschool classroom. Click Learn More to read reviews and view the awards. Give the gift of music! 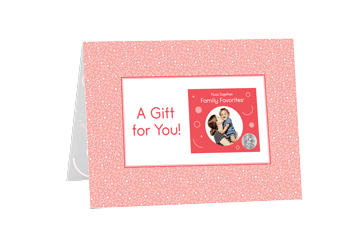 This gift card with envelope has a special access code and instructions for how to download all 19 songs from the award-winning Music Together Family Favorites album. 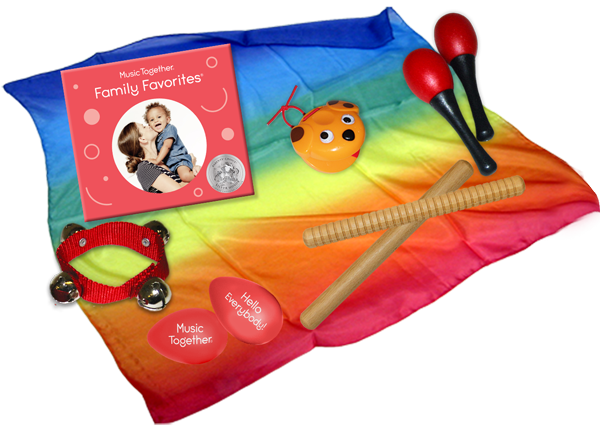 Includes a 24-page booklet with lyrics and activities to try at home with little ones. Give the gift of music! 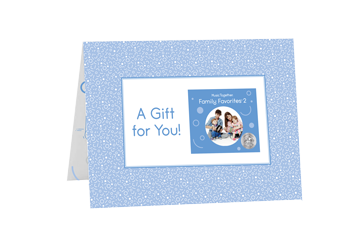 This gift card with envelope has a special access code and instructions for how to download all 18 songs from the award-winning Music Together Family Favorites 2 album. Includes a 24-page booklet with lyrics and activities to try at home with little ones. Give the gift of music! 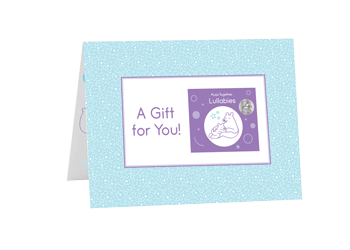 This gift card with envelope has a special access code and instructions for how to download all 18 lullabies from the award-winning Music Together Lullabies album. Includes a 24-page booklet with lyrics and activities to try at home with little ones. This wonderful combo of two of Music Together's award-winning CDs features best-loved songs from all nine (9) Music Together song collections. Each CD's accompanying illustrated 22-page booklet offers fun activities for every song, suitable for the home or classroom. 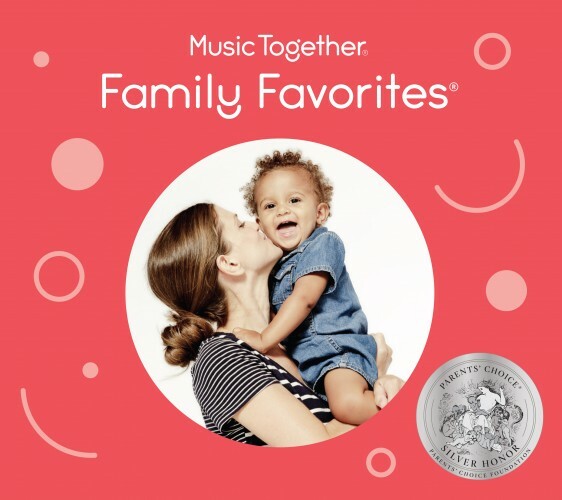 Family Favorites® has won ten awards including a Parents' Choice Silver Honor Award and Family Favorites® 2 has won ten awards including Creative Child Magazine's 2010 CD of the Year Award in the family music category. This wonderful set of all three of Music Together’s award-winning CDs features best-loved songs from all nine (9) Music Together song collections. Each CD’s accompanying illustrated 22-page booklet offers fun activities for every song, suitable for the home or classroom. 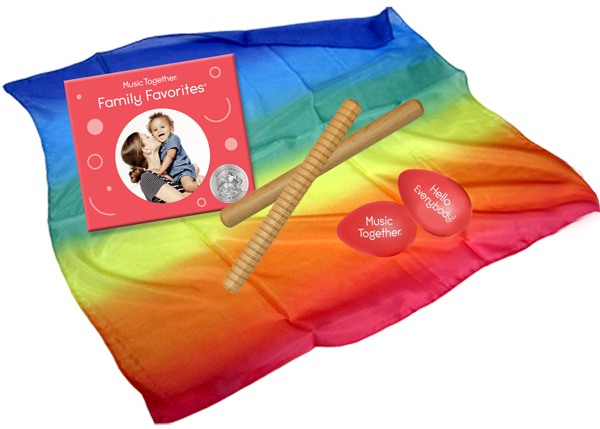 “Family Favorites” has won ten awards including a Parents’ Choice Silver Honor Award; “Family Favorites 2” has won ten awards including Creative Child Magazine’s 2010 CD of the Year Award in the family music category; and “Lullabies” has won nine awards including Dr. Toy's 10 Best Audio-video Products for 2009. Fun for the whole family! 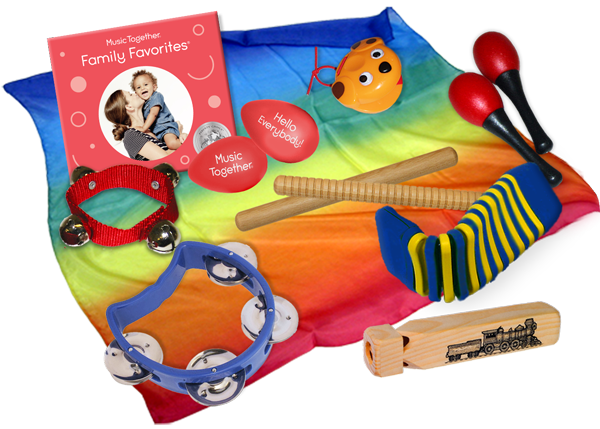 This set includes a Music Together CD (choose one), a 21” silk scarf, two large egg shakers, and one pair of 8” wooden combination rhythm sticks.